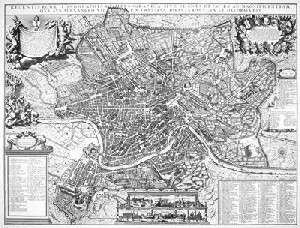 The Eternal City of the late Renaissance is fully portrayed on this large, highly decorative, and beautifully detailed plan showing the city at the death of Pope Alexander VII. Our reproduction is reduced one-tenth from the original size. 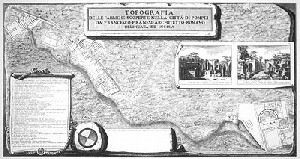 Engraved and published by Giovanni Giacomo de Rossi, this large and detailed plan shows ancient Rome at the time it dominated the western world. Marginal notes in Latin contain descriptive and historical information. his beautifully engraved plan-view appeared in Frederick de Wit's Theat-rum Praecipuorum Totius Europae Urbium. The exaggerated inset view of the cathedral campanile suggests that in the 17th century, as now, this famous leaning tower was regarded as the city's major attraction. 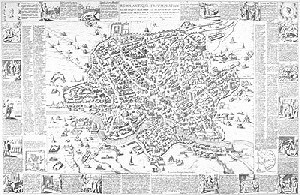 Turin's rectangular Roman plan was extended and modified during the Renaissance period. 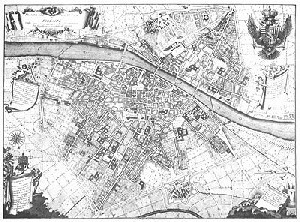 The city's magnificent streets and squares can be seen in our large and splendid plan from Blaeu's Theatrum Saubaudiae. 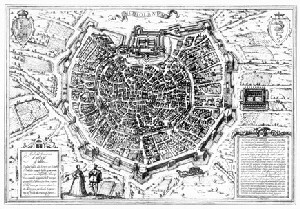 Superbly engraved by Guiseppe Bouchard, this large and detailed plan shows the many features of urban design and civic embellishment that have attracted visitors for centuries. 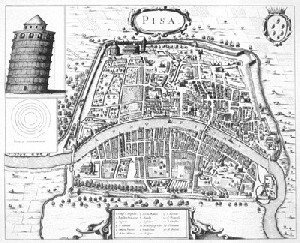 The first volume of Braun and Hogenberg's city atlas, Civitates Orbis Terrarum, included this attractive view of one of Italy's most important cities. Its concentric street pattern reflects periods of expansion beyond successive rings of fortifications. 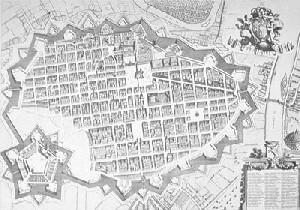 One of the earliest works of urban topography was Hartman Schedel's Liber Cronicarum, published in 1493. 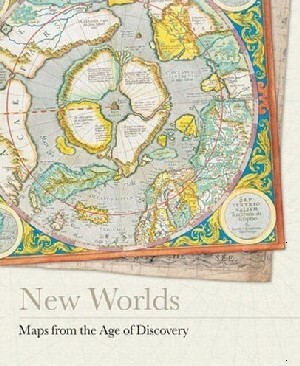 Known more familiarly as the Nuremberg Chronicle, the book includes a number of fascinating woodcuts illustrating cities of the known world.